“The Son of God, having the keys of Paradise, has given one to His Immaculate Mother and the other to St. Joseph. You who so much love your dearly departed, go to Joseph! He is the mediator of all who are detained in those cleansing fires, he exercises special influence on behalf of those who during life expressed great zeal and in honoring him” — Father Francis Xavier Lasance, priest, author. Tassone, Susan. Day by Day for the Holy Souls in Purgatory: 365 Reflections (p. 92). Our Sunday Visitor. Kindle Edition. Poor St. Joseph. His feast day falls during the season of Lent - which never lends itself to a lot of feasting to begin with. And to make matters worse for the foster father of the Christ child, he has to follow that usurper, St. Patrick! St. Patrick- beloved saint of the Irish and all those who want to be Irish - who himself is English and probably of Roman descent. 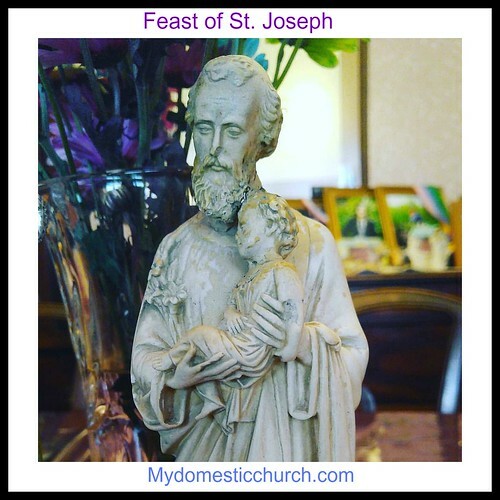 St. Joseph's feast day has to follow all of that, which in the United States, is certainly a let down. But a few good things have been helping St. Joseph's standing. In 2013, his name was finally included in Eucharistic prayer II, III, and IV! That sort of seemed like a no-brainer to me, but at least he finally gets a mention every week at mass. And of course he remains the favorite of property sellers who are trying to find the right buyer for their homes. Little statues of the saint fly off of the shelves at the local religious store, only to be buried upside down in the backyard somewhere. But at least that keeps St. Joseph's name out there. 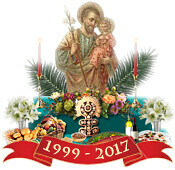 But most importantly, St. Joseph is the patron saint of a happy death, since he more than likely died in the presence of Jesus and Mary. Tassone, Susan. Day by Day for the Holy Souls in Purgatory: 365 Reflections(p. 92). Our Sunday Visitor. Kindle Edition. 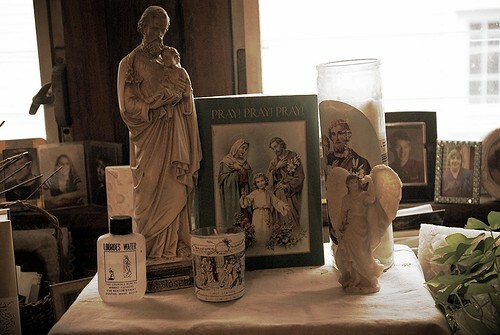 Follow Elena LaVictoire's board st. joseph on Pinterest.